There is confusion in the Senate over the filing of suits at the Supreme Court, following the suspension of the Chief Justice of Nigeria, CJN, Justice Walter Onnoghen, by President Muhammadu Buhari. The crisis was deliberated upon yesterday, as All Progressives Congress, APC, caucus in the Senate filed a suit at the Supreme Court, challenging the suit earlier filed by the Senate President, Dr Bukola Saraki, who withdrew it as a result of the intervention of National Judicial Council, NJC, in the matter. It would be recalled that the Senate had, through its president, Saraki, approached the Supreme Court last Monday to seek interpretation of the suspension of Justice Walter Onnoghen by President Buhari. But in a dramatic twist, yesterday, the Senate ordered the discontinuation of the case it filed at the Supreme Court over the suspension of the Chief Justice of Nigeria, CJN, Justice Walter Onnoghen by President Muhammadu Buhari and his replacement with Justice Ibrahim Mohammed. 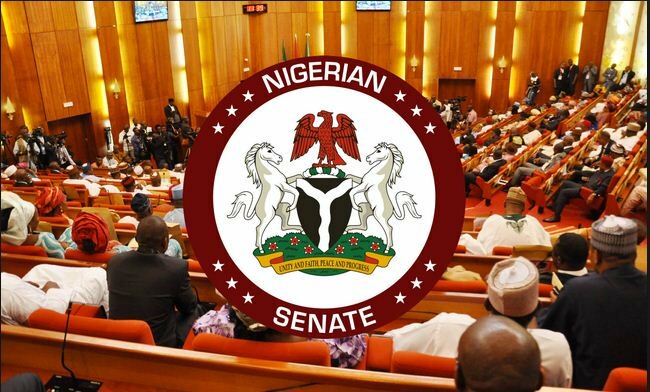 Meanwhile, the Senate APC Caucus has differed from the position of the Senate President, as senators of the ruling party have gone to the Supreme Court to challenge Saraki on the matter. The decision to go to court, according to the Senate Leader, Senator Ahmad Lawan (APC, Yobe North), was arrived at the end of the meeting of the senators, yesterday. According to the Senate leader, the APC, which has 56 members, is challenging the said suit and has vehemently objected to the inclusion of its members. A statement by Senator Ahmad Lawan read: “The Senate caucus of All Progressives Congress, APC, consisting of 56 senators, being the majority party in the Senate, has today (yesterday), Monday, February 4, applied to the Supreme Court to join in the suit purportedly filed by the Senate against the President and Commander-in-Chief of the Armed Forces of the Federal Republic of Nigeria as interested parties.